How to recover pictures lost from Samsung smartphone? Do you know how to recover deleted pictures from smartphone? In this guide, you can see a step-by-step process to get lost files easily and quickly. Samsung phone is very popular Android phone brand due to its good quality and unique design, gaining a large customer base across the world. Data loss from Samsung is really frustrating. Click Delete button or make a phone reset, you will lose data. Moreover, memory card in your cellphone gets formatted due to card corruption or other errors, and files on the card will be erased. Will you be panic when files are lost because of your mistake? Do you have an easy and effective solution to recover data from Samsung smartphone? Being that worried is not wise reaction, as there is solution for common users to perform Samsung data recovery and it’s easy, fast and safe to do Android data recovery. What’s important is that changes of successful photo recovery are high as long as lost files are not overwritten or damaged. Thus it’s crucial to protect cell phone from storing new data. More specifically, you should stop taking any new photos or video clips with the cellphone. Besides, you should take good care of your phone and keep it away from physical damage, such da fall down to hard ground. Install Samsung data recovery software to your computer and prepare for recovery. As data recovery software can only access rooted Android devices, you have to root the phone first before recovery. Otherwise, the Android data recovery can’t recognize internal memory space on the phone. There are rooting tools online, you can use the one that is compatible with the model of your Samsung phone. 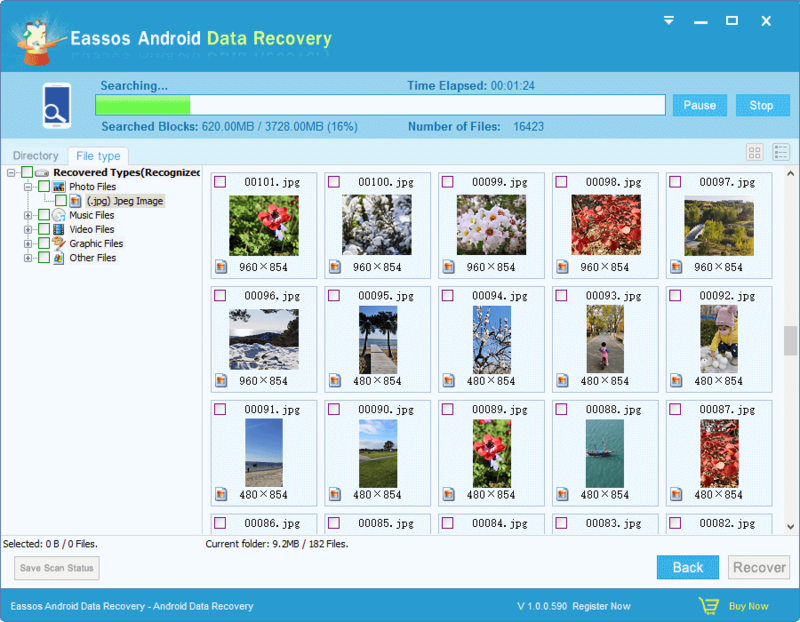 As regard to Samsung data recovery software, Eassos Android Data Recovery software is highly recommended here to carry out the task. 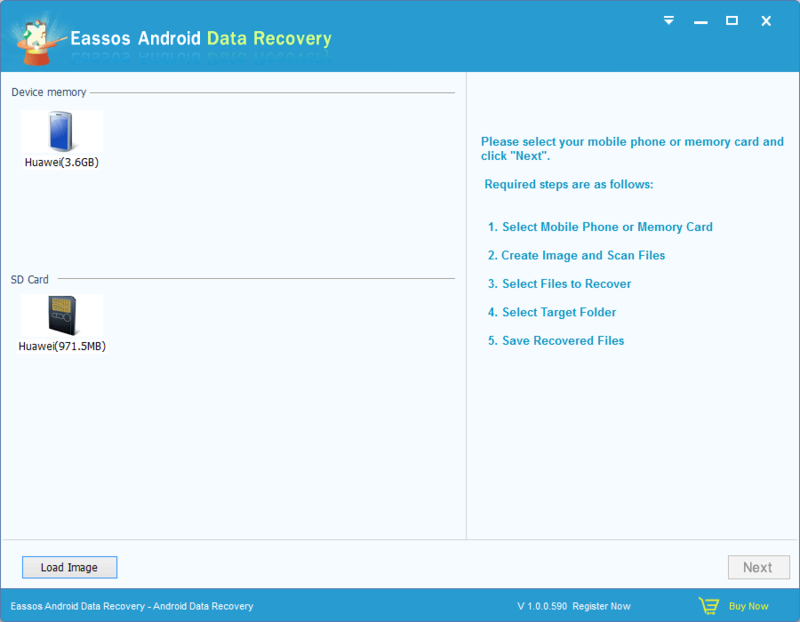 Eassos Android Data Recovery software is handy data recovery software designed for Android device data recovery. It recovers deleted, formatted or lost media data including photos, pictures, video & audio files with simple steps, which makes it possible for average users to restore data from Samsung phones and other Android devices. Step 1: Connect cellphone which has been rooted to computer through USB cable. 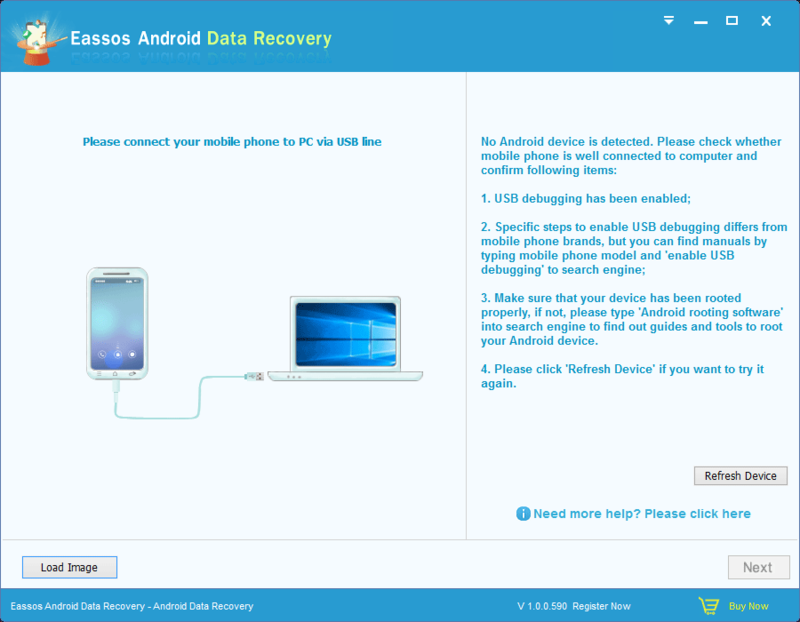 Install and run Eassos Android Data Recovery on your PC. Step 2: When the phone is recognized, you can see its storage devices on the interface. Select the one that is suffering from data loss and click “Next” to start scanning process. Actually, the software makes image files first before scanning to make the process in read-only. Step 3: The software starts display recovered files even when file scanning is not completed. And file listed keeps updating if there are new files found. Users are allowed to preview files as long as files are listed. If files you want to recover have been found, you can stop scanning process. Step 4: Choose files you want to recover and click “Recover” to save them on a safe place. This entry was posted in Android data recovery and tagged Eassos Android Data Recovery software, Samsung data recovery software by EASSOS. Bookmark the permalink.